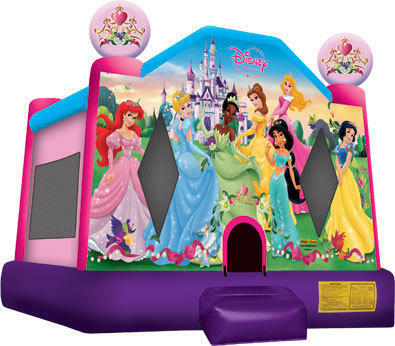 This castle features Ariel, Cinderella, Belle, Tiana, Jasmine, Aurora, and Snow White from the classic Disney tales. 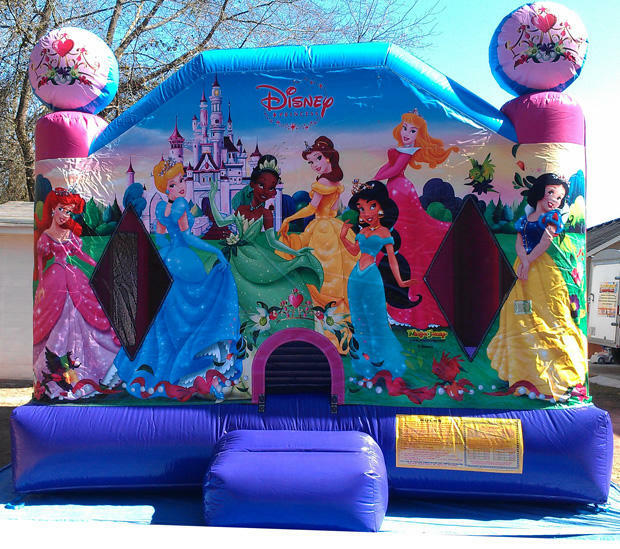 So whether your little girl is a fan of the Little Mermaid, Aladdin, Beauty and the Beast, or the Princess and the Frog movies, she will love this moonwalk for her party! This jumper measures 15x15 feet.